It’s impressive how much Samsung crammed inside Galaxy S10, particularly the S10+. 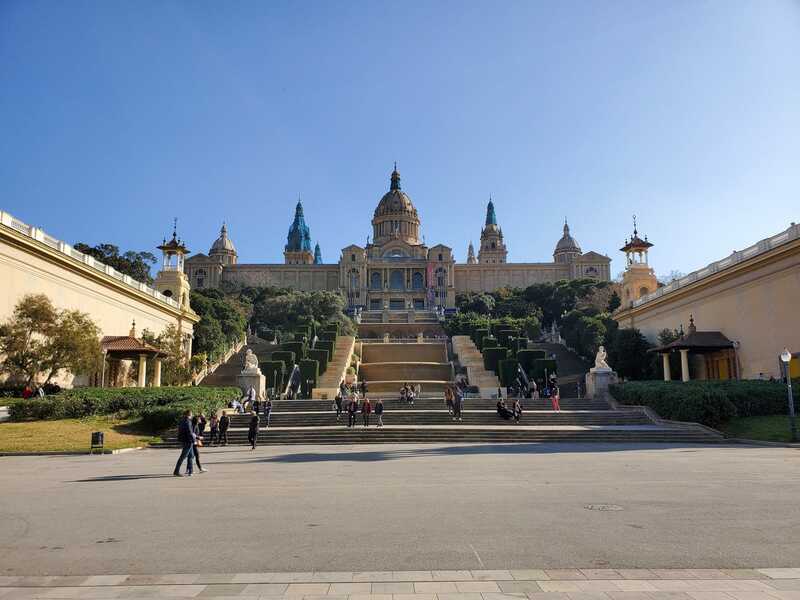 (Note: This review was conducted primarily based on time spent using the Galaxy S10+. We’ll update with information about other devices in the line when we’ve tried them.) Despite having practically the same-sized 6.4-inch screen as the Galaxy Note 9, the S10+ sports a slightly larger 4,100 mAh battery (versus 4,000 mAh for the Note 9), an extra camera sensor in front and back, and reverse wireless charging (Samsung calls this wireless power share) in a body that’s actually 10 per cent thinner. Now, I’m not someone who typically cares about the difference between 7.8 and 8.8 millimetres, but when they’re in your hand, you definitely notice. 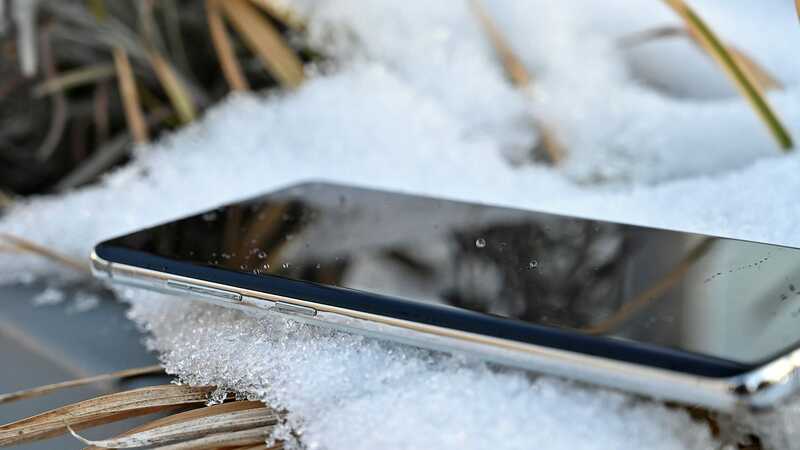 For a phone packing this many new features, at 173 grams, the S10+ is surprisingly light too. Everything about the S10's aesthetics is on point. Samsung’s new Infinity-O punch-hole selfie cameras are a sleeker, less distracting version of last year’s notches. Samsung also tweaked the aluminium chassis that holds the phone together, so that it’s more comfortable to grip. Even Samsung’s prismatic colour options live up to their name, especially the prismatic white colourway, which shifts from electric purple to hot pink to pale blue depending on the light. 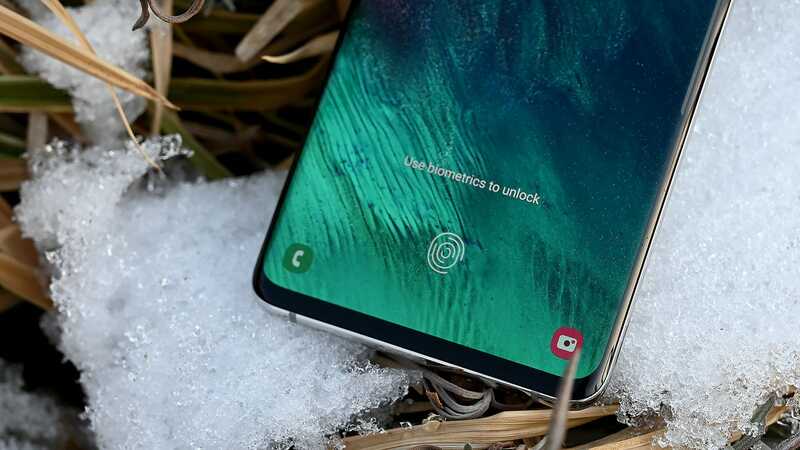 And since Samsung replaced the rear fingerprint with an ultrasonic scanner buried beneath the display, there are fewer distracting features around back. 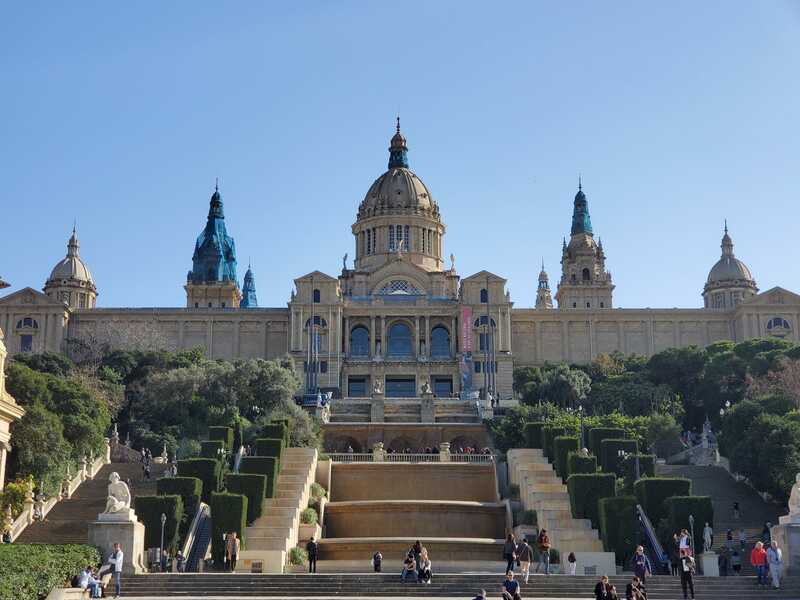 A shot of the MNAC in Barcelona with the S10's main camera. 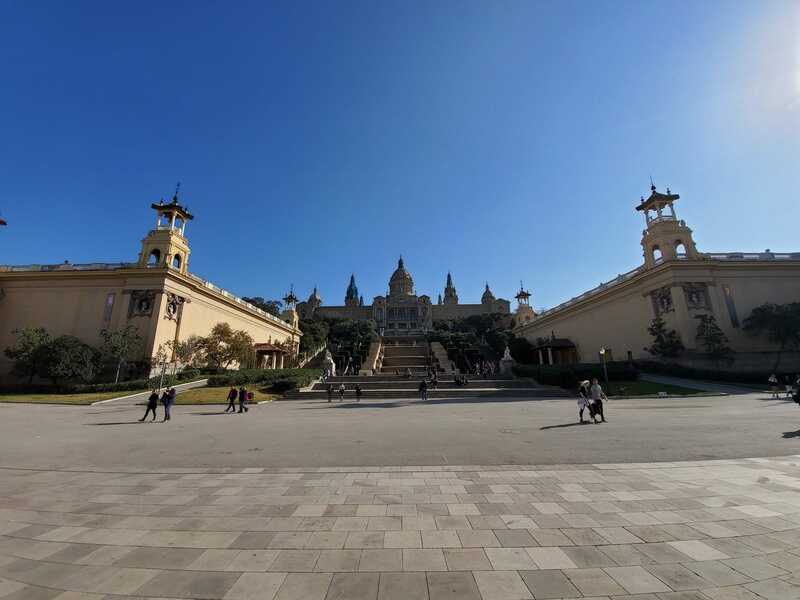 That said, if image quality is the only thing you care about, in certain situations, the S10's cameras fall short of what the Pixel 3 can deliver. In a side-by-side shootout between the S10+, Pixel 3, and iPhone XS Max, the Pixel 3 did the best job of capturing details on the crane in the background and the texture of the road in front. And unlike the iPhone XS, neither the S10+ nor Pixel 3 went overboard on the blue light seeping through the fountain in the centre. Samsung also updated the phone’s scene optimiser, which intelligently detects various objects and environments to help optimise camera settings. 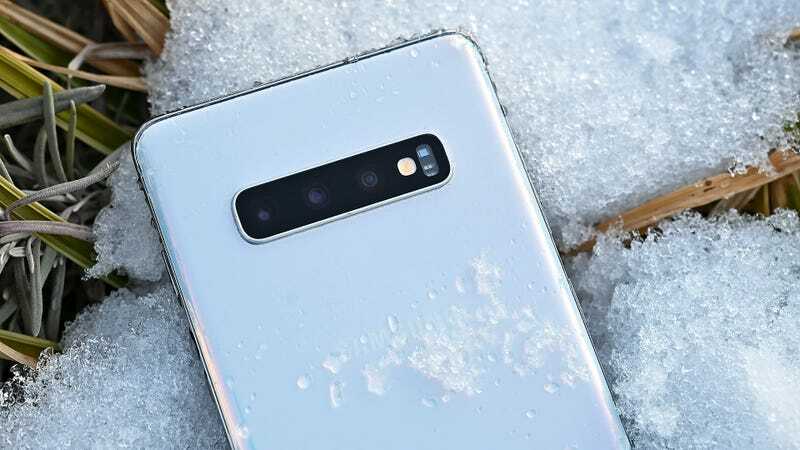 Now, the S10 can recognise the difference between a cat and a dog, a shoe and a car, or automatically turn on the phone’s Bright Night setting in very dark situations. The issue for the S10 is that unless the phone detects these things on its own, you can’t activate those photo tweaks yourself. This poses a problem for Bright Night mode, because even in low-light situations, unless it’s really dark, you won’t get any help. But even with all that, the S10+ lasted almost two full days on a single charge. After hitting 60 percent before falling asleep on the first day, the S10 finally conked out at about 10:30 the next night. Sure, it wasn’t a full 48 hours, but with even without any special battery saving modes turned on, going a night without plugging in isn’t the death sentence that it used to be. Unless you are intentionally trying to kill the phone, single day battery simply feels like its no longer a concern. No more carrying two phones, a charging case, or extra battery packs. The S10's battery life gives you freedom. The biggest thing stopping anyone from picking up the S10 is price, because starting at $900 for the regular S10, that’s a lot of money to throw down on a phone. 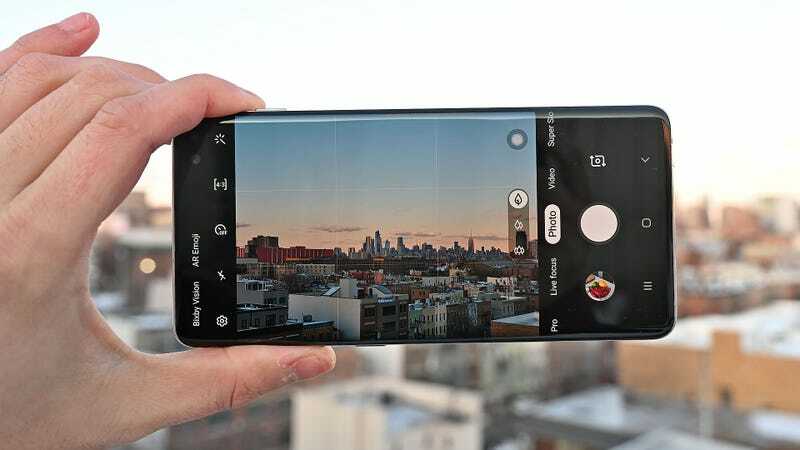 But when you compare that to the Pixel 3 which hasn’t had a price drop and still costs £739 for less sophisticated hardware, and the £1,000 iPhone XS, the Galaxy S10 comes the closest to making all those pennies worth it. 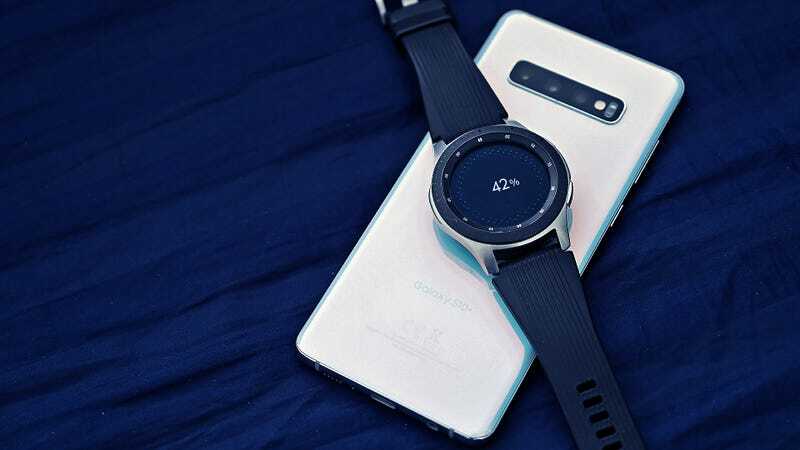 Wireless PowerShare isn’t all that fast, but it’s a great way to lend spare juice to a friend in need, or better yet, leave the cradle for your Galaxy Watch at home while traveling. I would be nice if Samsung offered greater control over the S10's scene optimiser, especially Bright Night mode.